I was inspired to start a new illustration of the lion and the lamb. As I read the scriptural reference for it from Isaiah 11, fresh revelation began stirring in my spirit. The Holy Spirit guided me to incorporate the earth, bringing a heavenly perspective. 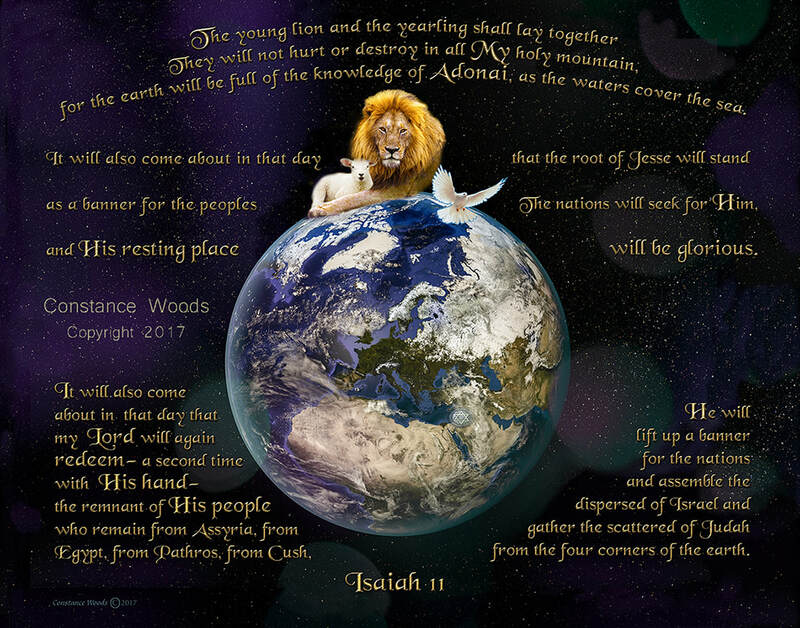 As Isaiah describes the Peaceful Messianic Era that is coming, it is clear that we cannot seperate the idea of the animal kingdom being at peace with each other from the promise of God to redeem the remnant of the Jewish people and gather them back into Israel from the nations where they've been scattered. A Star of David is placed where Israel is on the earth. The Logos becomes part of the art, declaring the marvelous words that Isaiah delivered.